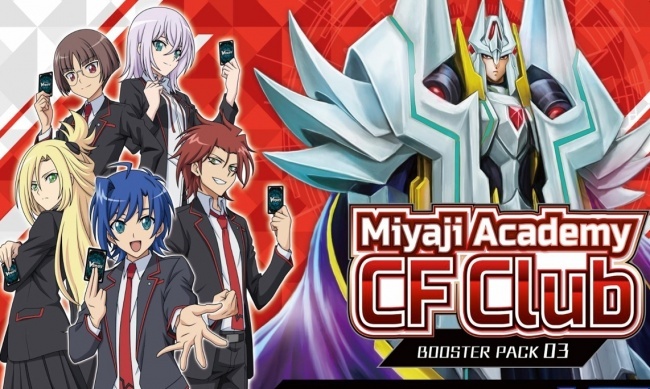 In February, students from Miyaji Academy will be available to compete in Bushiroad’s Cardfight!! 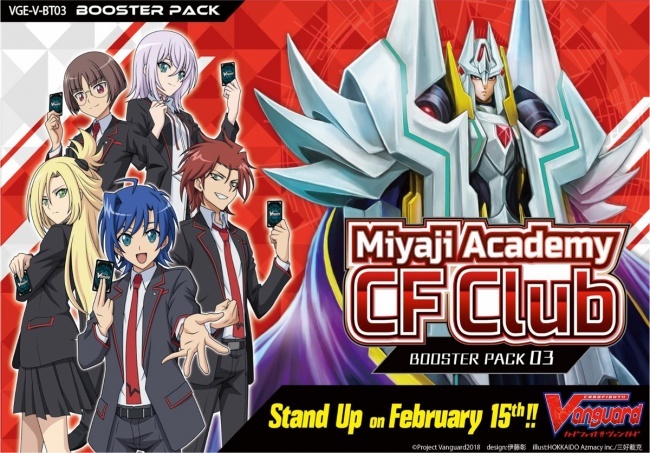 Vanguard trading card game, when the Misaki Tokura and Naoki Ishida Trial Decks release on February 8, followed by the Miyaji Academy CF Club Booster Pack expansion on February 15. 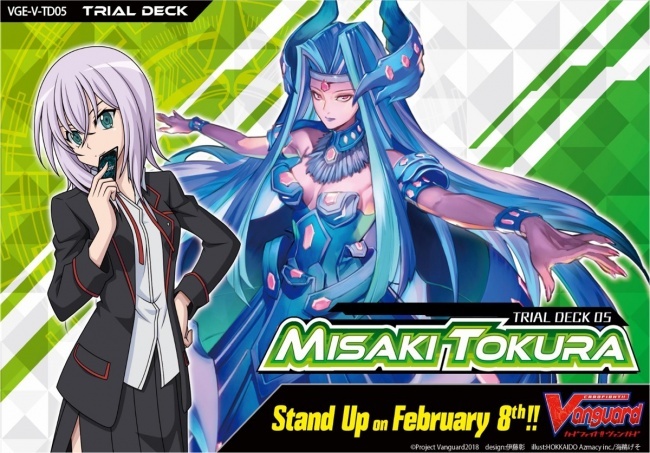 The Misaki Tokura Trial Deck features the “Oracle Think Tank” clan, as used by the Misaki character, including the “Hexagonal Magus,” “Rectangle Magus,” and “Cuore Magus” cards. This pre-constructed deck comes with 50 cards in a total of 15 varieties. One random card will have a holo treatment, and the 6 reissue cards included have new artwork. 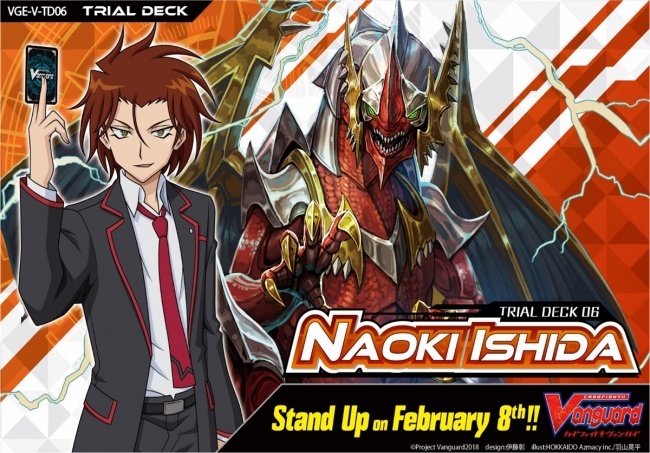 The Naoki Ishida Trial Deck is based on that character’s deck, featuring the “Narumaki” clan and the “Great Composure Dragon,” “Recklessness Dragon,” and “Lizard Soldier, Riki” cards. This 50-card pre-constructed deck includes 14 varieties of cards, all new, and has one random holo card. January will see The Answer of Truth expansion for the game (see “‘Cardfight!! Vanguard’ Has ‘The Answer of Truth’”).